When at work, if you’re not constantly aware of ‘what could go wrong’, your Mum’s advice to wear clean underpants ‘just in case’, might be the best she ever gave you. You need to take personal responsibility for your own safety and that of others by understanding the regulations that apply where you work. 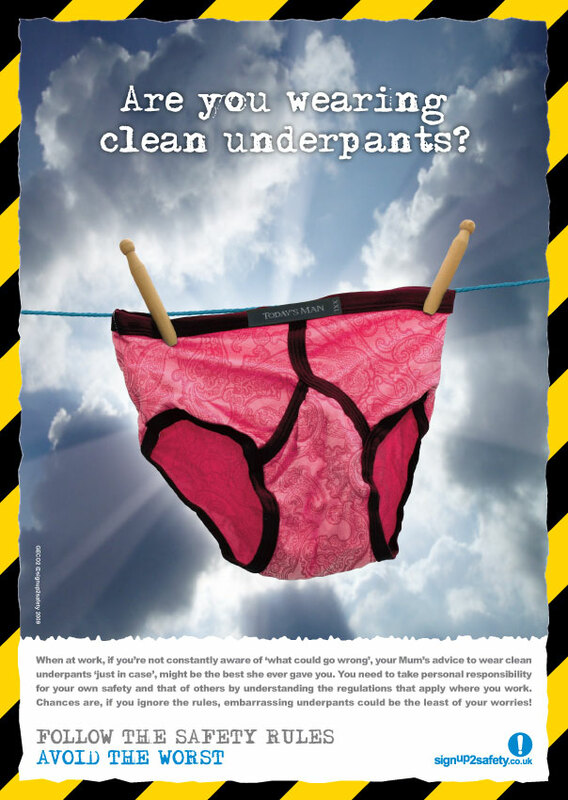 Chances are, if you ignore the rules, embarrassing underpants could be the least of your worries!